If there’s one thing Resident Evil 6’s mixed critical reception revealed, it’s that expectation plays a significant role in how people interpret a game’s relative successes and failures. Indeed, survival horror die-hards will likely hate RE6, as its streamlined focus on linear gunplay drags the series further into uncharted territory. RE6 is, unapologetically, a very modern third-person shoot ‘em up. The puzzles and intricate horror labyrinths of the original trilogy are consigned to the past, replaced with an action-packed, fire ‘n’ forget experience. Doesn’t sound like an overly positive outlook, but then again, if you’d suffered through the rather low-rent and infinitely dispiriting team-based disaster that was Operation Raccoon City just a few months earlier, then you’ll no doubt feel things could have been a lot worse. Resident Evil 6 is significantly better in every department, including (ironically enough) the cooperative multiplayer element that ORC was primarily built to accommodate. Often cumbersome and repetitive to play, RE6 nevertheless makes a commendably full-blooded attempt to move with the times, even if it’s less polished than either of its immediate predecessors. Resident Evil 6’s sprawling campaign is split into four as various pairings seek answers and solutions to the latest viral outbreak. The best segment sees series veteran Leon Kennedy team up with newcomer Helena Harper, as the game reveals its eye for action spectacle. A well-gauged trip through a murky graveyard is followed by a top-notch boss battle within a cathedral, which sees cowering civilians being zombified as you struggle to take down a dangerous foe. Nods to RE4 run deeper than the gothic stylings and occult undertones though. There are a smattering of puzzles and traps to negotiate, even if they are a little half-hearted next to the series' more famous brainteasers. "If you haven't got a ticket, you're not getting on." If Leon’s campaign has a dash of RE4 about it, then it stands to reason Chris’s draws closer parallels to RE5, and it carries a distinctly militant feel. The duck ‘n’ cover gameplay is not RE6 playing to its strengths; its derivative nature and slightly clunky mechanics make for some inevitably unfavourable comparisons with a number of third-person shooters that it’s aping. However, the return of the vicious J’Avo creatures is a welcome one, as shooting various limbs causes them to sprout demonic tendrils. Whilst its bread and butter gameplay doesn’t offer anything new, this campaign is memorable for its prodigious boss fights. It’s rarely long before you’re called into battle a monster the size of a building, whilst a prolonged encounter with a cloaked serpent amidst the cramped confines of a dilapidated building ensures for a compelling sequence. Sherry’s and Jake’s campaign runs along similar lines, though it’s as likely its samey feel can be attributed to the repeat appearances of previous locations, as some overlap across the different story strands. Nevertheless, there are moments of distinction. A terrific encounter on a plane is swiftly followed by a trek through hostile, snowy tundra, offering a very different experience the series’ more-familiarly claustrophobic interiors. An escape from an Umbrella lab which sees the player using CCTV to note escape codes utilised by their partner is really nice as well. Anti-hero Ada Wong makes a welcome return and features in her own mission. The first chapter, set aboard a submarine, is the most challenging (and in many respects, most satisfying) of the game, demanding efficiency as you dispatch grunts quietly with crossbow bolts. Ammo is in short supply, and you’ve no partner for back-up. Like Leon’s campaign, Ada’s starts with one or two encouraging teasers to wrap your head around, before swiftly reverting to type. The adventure is bolstered by the prospect of playing with friends, as large, open areas allow for a degree of freedom in positioning and tactics. The computer AI does its job, providing consistent and able back-up without winning battles themselves, and are quick to help if you’re in need of assistance. But it’s definitely more fun teaming up with a friend. The hitch here is the inconsistency of the servers, which allow you play with people on the other side of the world, whilst steadfastly refusing connection to a friend who lives in the same country. RE6 delivers a solid shoot ‘em up experience. Certainly, the plethora of beefy weapons are a lot more satisfying to use than Operation Raccoon City’s, the aiming a lot less unwieldy. There’s lots of big action scenes, but also the nagging feeling that more could have been made of RE6’s blockbuster locations. In lieu of the relative lack of variety and its one-pace nature, it does have a tendency to feel padded by undesirable quick-time events and a veritable network of corridors and alleyways that contribute little save extending the overall run time. In other respects, there’s evidence of Resident Evil regressing, struggling to meet the towering standards met by its predecessors. Though it could never be accused of underselling its environments (there are a multitude of highlights), it all looks a little less sharp than RE5, and for perhaps the first time, we’ve a mainline Resident Evil that doesn’t look cutting edge. The music does the job, whilst the dialogue and voicing opts for fairly safe ground; performances are sturdy, the subject matter nothing inspired. Sometimes you need your “Jill Sandwich” moments to make a mark, after all. Whilst it’s found wanting at times, surprisingly, RE6’s most distinguishing positive is in its extremely generous supply of content. Let’s face it, Capcom aren’t renowned for passing up on micro-transactions where they can get away with it. Operation Raccoon City charged an excessive amount for second scenario missions, whilst more recently Resident Evil Revelations 2 turned the PSN into a bomb-site with its want to sell a litany of extras that should reasonably have been classed as unlockables. But RE6 not only offers four sizable campaign arks totalling comfortably more than 20 hours, you’ll spend nearly as much time on its ancillary mode, Mercenaries, which is as good as ever. Here the player must defeat shedloads of creatures within a time-limit, with skill points to spend on abilities being doled out in the event of your success or survival. Whilst it’s annoying that the death of your online partner will cost you any accrued points, it reinforces the need for teamwork and, when all’s said and done, it’s a good deal of fun. Furthermore, there’s considerable replayability brought about by rankings, which award you a bunch of additional characters and outfits (and consequently weapon combinations). 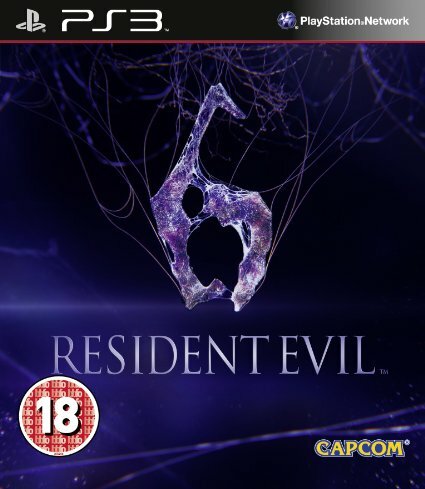 Resident Evil 6 is a very different beast to the survival horror so many fell in love with during the late nineties. Mirroring the more recent success of RE4, instalment six is diminished by copy-cat gameplay, a lack of innovation and too narrow a focus on combat. Still, the shooting is enjoyable enough and undemanding gamers will find it has considerable legs. Even if the lengthy campaign isn’t unputdownable, it’s clear a lot of effort has gone into Resident Evil 6. Plenty to enjoy but little to be inspired by, it will likely reinforce player’s concerns as to the series’ direction beforehand, even if it wasn’t the catastrophe Operation Raccoon City had suggested it might have been.